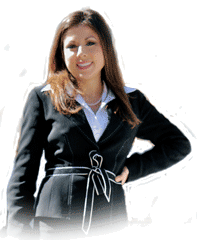 Cynthia Veintemillas is an experienced Florida trial attorney. She is a zealous advocate for her clients and pays attention to every detail. Experience in the courtroom, attention to detail, and the will to fight for each and every client creates a recipe for success. Cynthia Veintemillas began her legal career at the Office of the Public Defender in Jacksonville, Florida. While in law school, she interned with the Office of the Public Defender where she discovered her desire to help people charged with crimes in Jacksonville, Florida. Thereafter, she worked in the investigations department assisting attorneys with the investigation of misdemeanor and felony Jacksonville criminal cases. After being admitted to the Florida Bar in 2006, she immediately became an Assistant Public Defender and began working as a Jacksonville Criminal Defense Attorney. As a former assistant public defender, she has represented a diverse group of clients in every phase of Jacksonville criminal proceedings. She realizes that her client’s liberty is at stake in each criminal case and has successfully argued for bond reductions, including “no money” forms of release. Cynthia Veintemillas understands that every Jacksonville Criminal Case is different, and she listens to her client’s individual needs in order to develop trial strategies or a favorable disposition for the case. She has negotiated hundreds of cases resulting in the dismissal of charges or favorable plea deals. She has taken many cases to jury trials, fighting for her clients’ rights and freedom. In fact, in 2007, she earned the trial award for most jury trials in County Court from the Duval County Office of the Public Defender. In 2008, Cynthia Veintemillas entered private law practice in Jacksonville, Florida, and expanded her areas of practice beyond Florida Criminal Defense. Due to the growing need for support of Jacksonville Juvenile Delinquents, she represents Florida Criminal Juvenile Defendants. She believes that, in Jacksonville Juvenile Cases, it is extremely important to protect a juvenile from a criminal record, in order to ensure a bright future. She also works to help people with a Florida Criminal Record seal and expunge their records. She has been very successful in sealing and expunging criminal records in Florida. Cynthia Veintemillas is also a Florida drivers license lawyer. She has help people with speeding tickets all over Florida. She has helped Jacksonville habitual traffic offenders with a five-year drivers license suspension obtain a valid license. She has handled criminal driving cases all over Northeast Florida, including Nassau, St. Johns, Clay and Duval County. Pingback: How Do I Seal My Criminal Record in Jacksonville, Florida? Pingback: How Do Expunge My Criminal Record in Jacksonville, Florida?